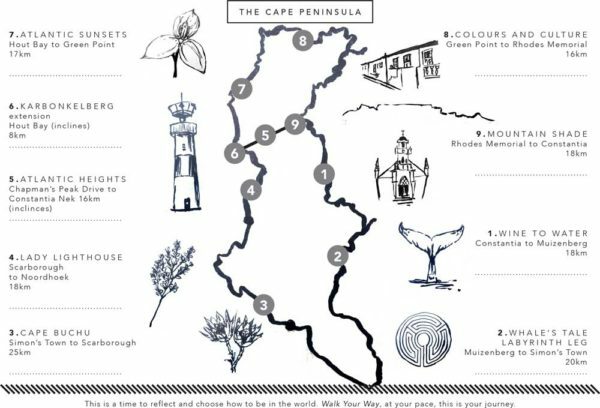 The Cape Camino is a seven-day, 160km journey on foot that starts in Constantia, traverses the Cape Peninsula and ends at Rhodes Memorial, forming an infinity symbol-shaped path. Inspired by the Camino de Santiago in Spain, a 600km pilgrimage to the town of Santiago de Compostela, the Cape Camino is a journey that challenges pilgrims both physically and mentally. There are various historical monuments and sacred areas that the Cape Camino takes walkers past. The magnificent natural beauty of the Cape Peninsula allows pilgrims to immerse themselves in their surrounds, push themselves to their limits and ultimately travel with a clear mind. The diverse team of Cape Camino. These are our local assistants that walk with you, offer you guidance and a safe space, so you can get on with your journey ?? The Cape Camino is unlike any other outdoor adventure that Cape Town has to offer. It is an urban walk rather than a trail hike, and a way, founder Gabrielle Andrews realised, to show residents and tourists alike the astonishing Cape Peninsula. The magnificent Cape Peninsula! With so many unexplored spaces and viewpoints to spend time at. The best way to enjoy is on foot ? The pilgrimage is divided into seven sections, measuring between 16km and 25km each. There are three extensions between the routes. Those who take part in the Cape Camino are not required to walk the entire length of the route and can choose which places they’d like to stay or stop at, all while walking at their own pace. For those who are seeking a more challenging pilgrimage, there are various hikes, expeditions and harder-to-reach points that can be undertaken. How a walker chooses to do the pilgrimage depends on their individual requirements and fitness levels. The Fynbos Labyrinth on the Whales Tale Labyrinth Leg. 1km of meditation walking. All hand planted by caretaker, Koos Burger. Group pilgrimages cost between R5 855 and R11 193 depending on the package you select. 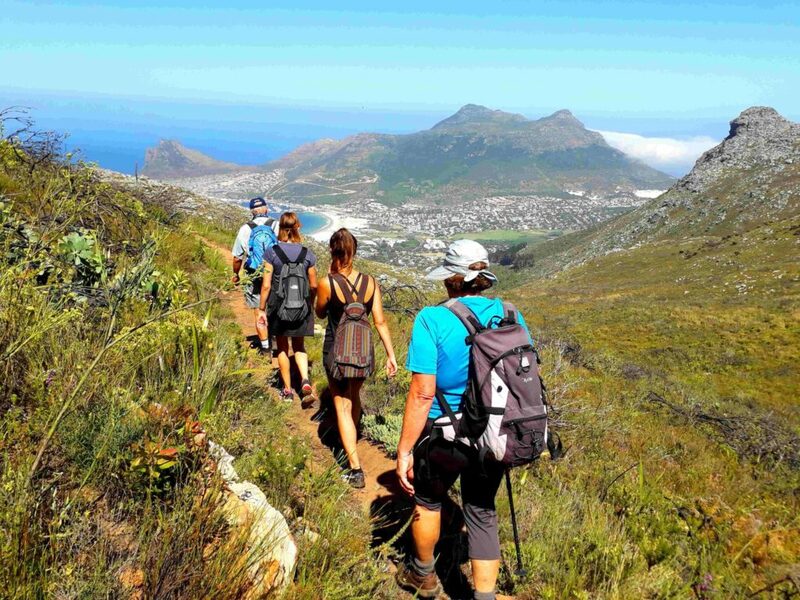 A basic package includes four guided days, and three days of unguided walking; six nights in shared backpackers and homestay accommodation; transport over Chapman’s Peak; your Cape Camino passport, waterproof map, a buff and t-shirt. The package even includes five dinners, four breakfasts, three nights in backpackers accommodation, three nights in guesthouse share accommodation, and transportation of your bags. 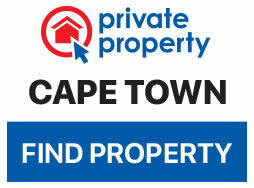 Once you have signed up for a Cape Camino experience, you will receive your passport. This will be sent over email but it is advised to collect a physical passport, as well as a map, somewhere on your journey. The perks of carrying the passport include special discounts and rates at restaurants and various accommodation along the route. Visit the Cape Camino website for more information and follow Cape Camino on Instagram, Facebook, Twitter or Youtube.